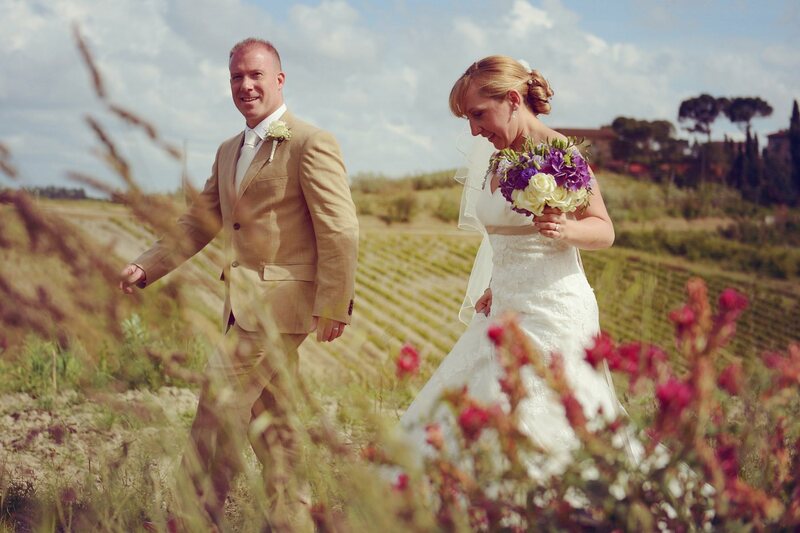 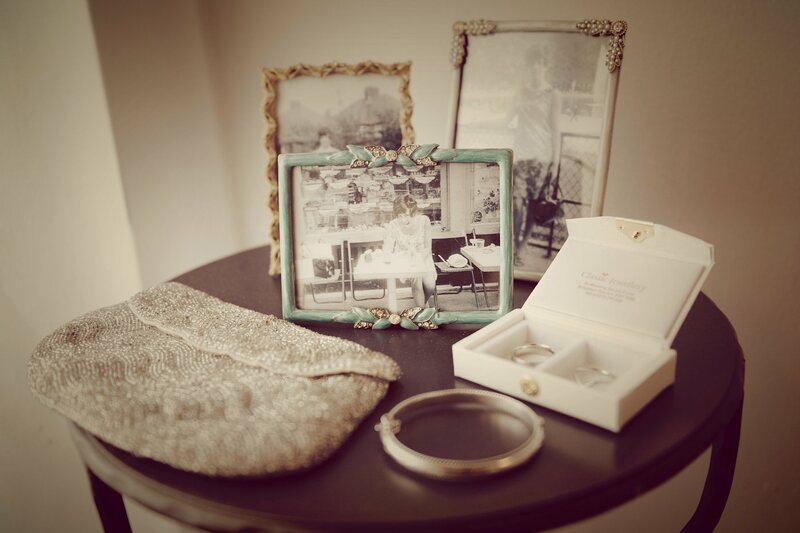 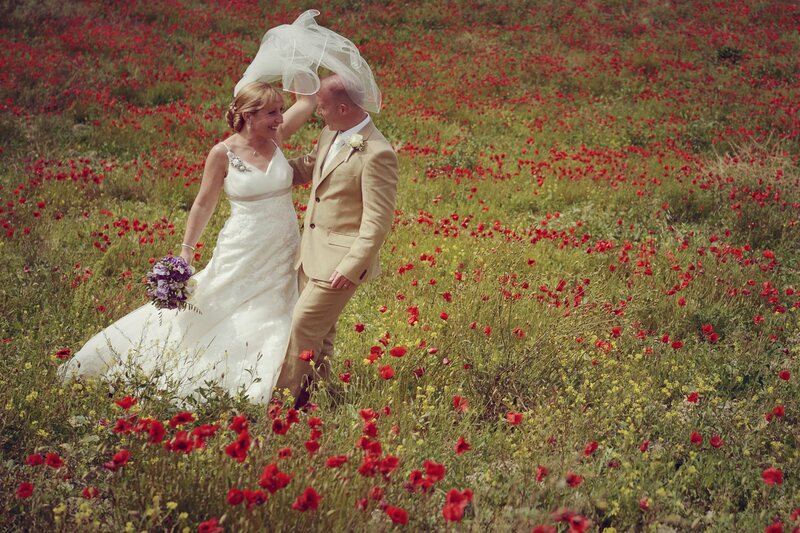 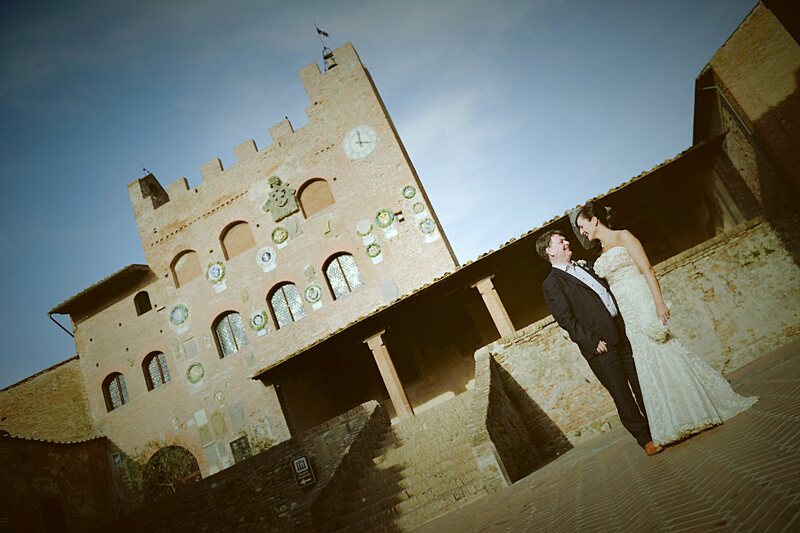 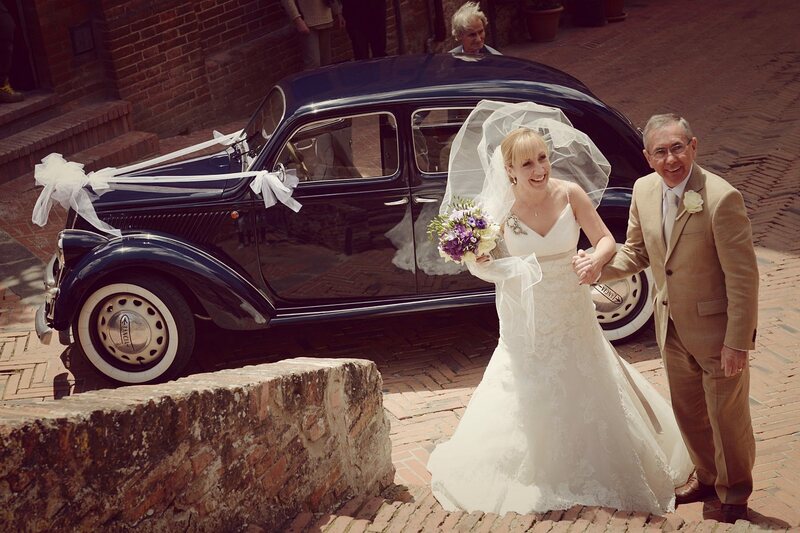 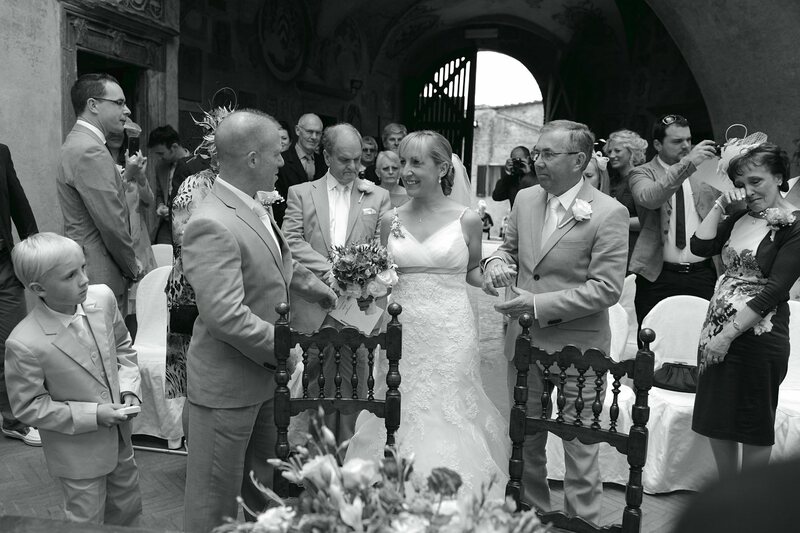 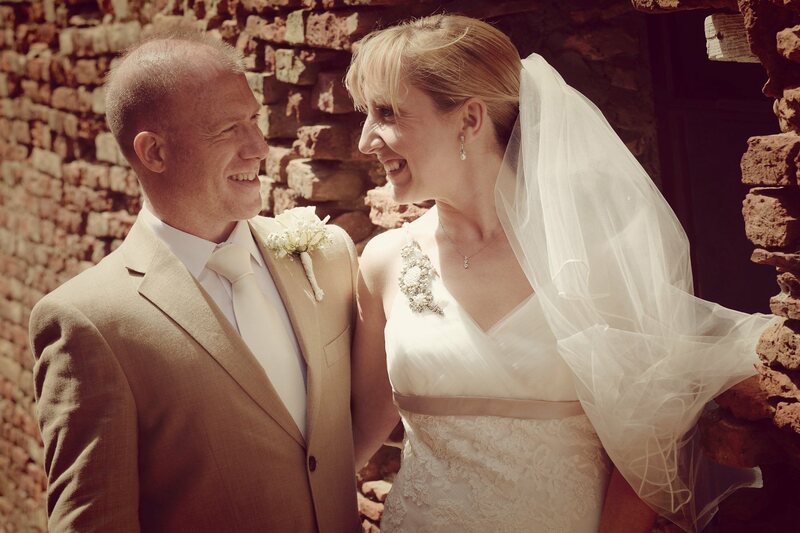 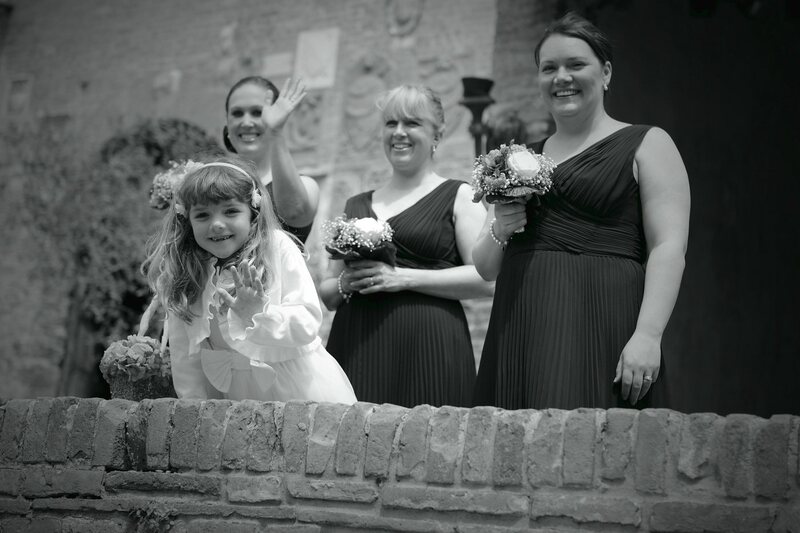 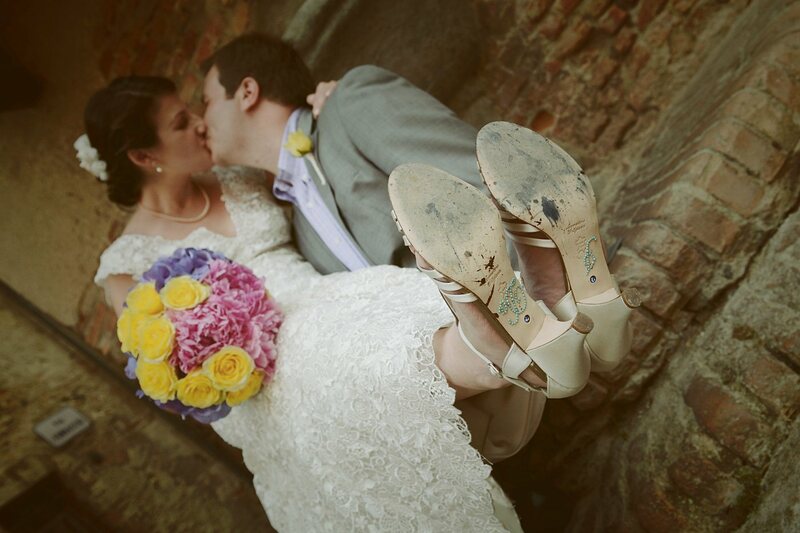 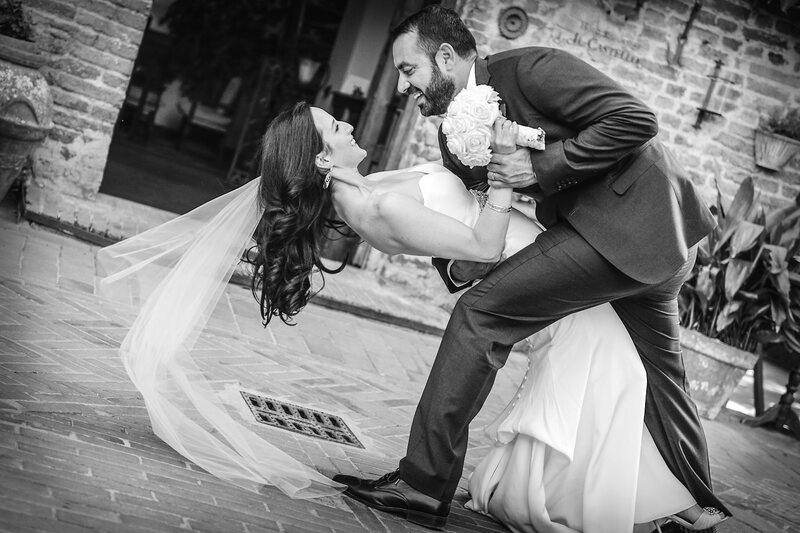 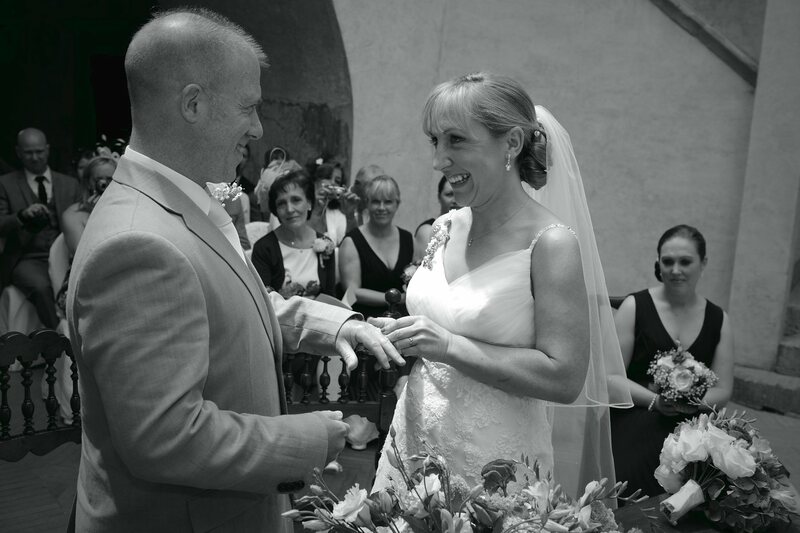 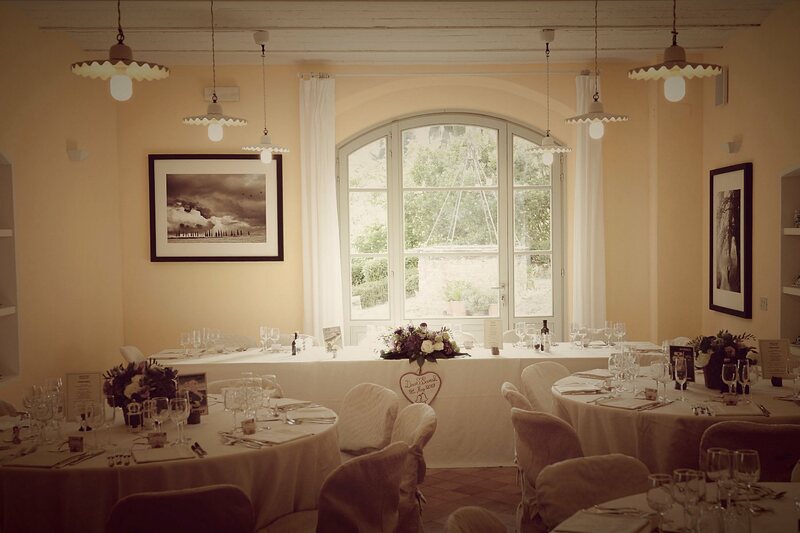 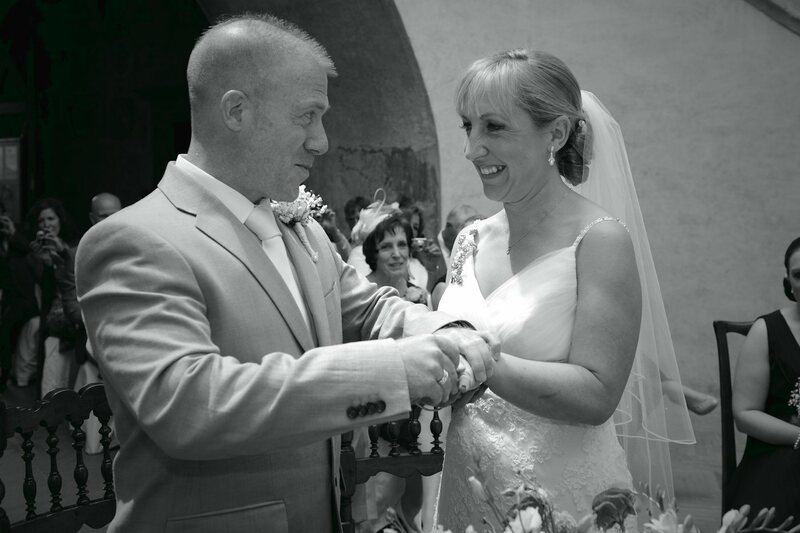 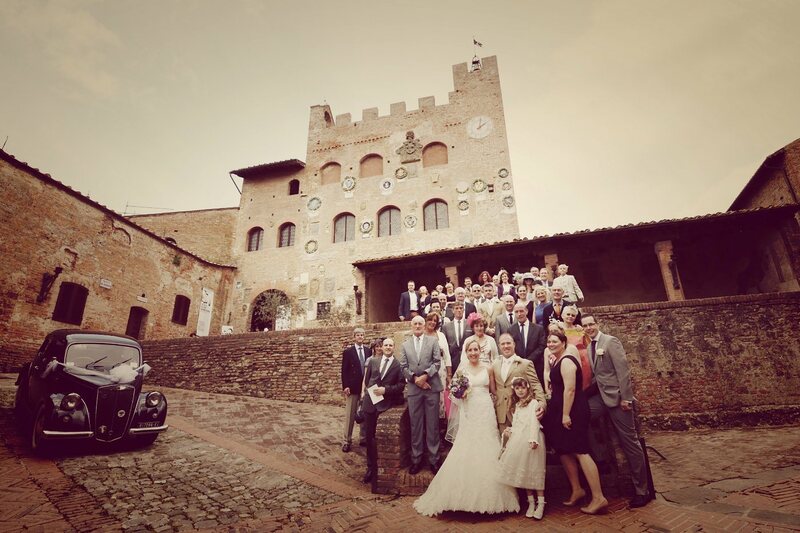 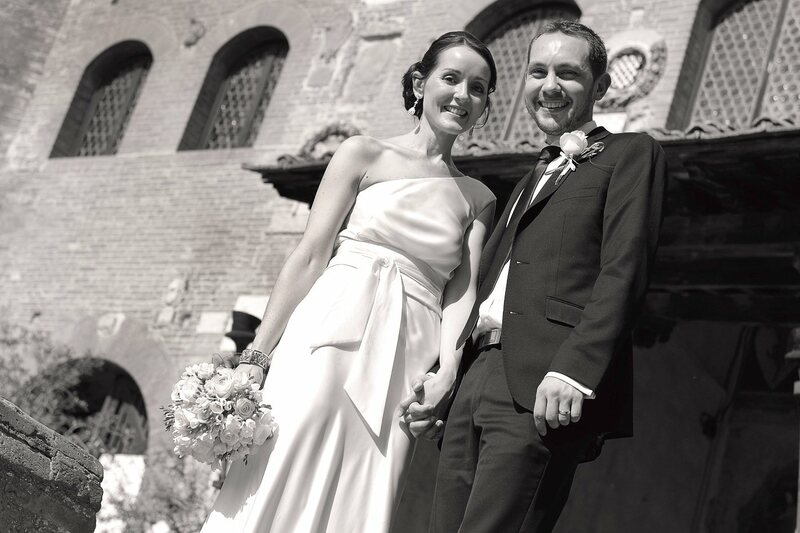 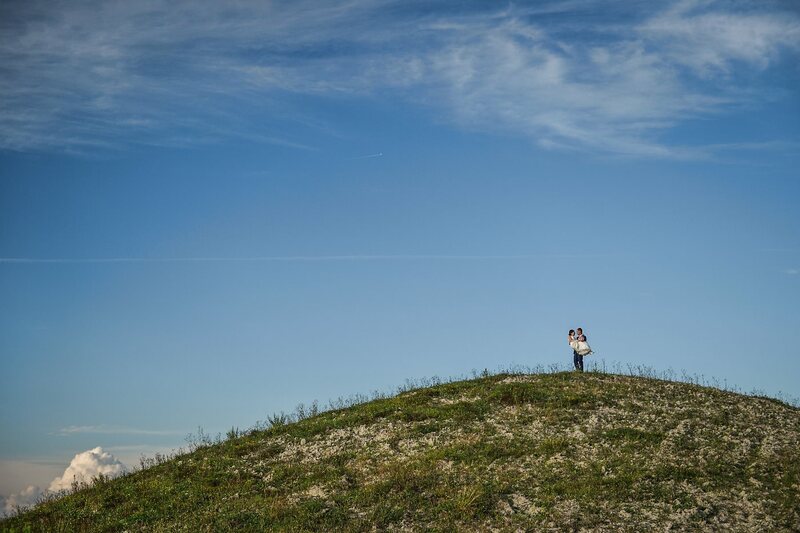 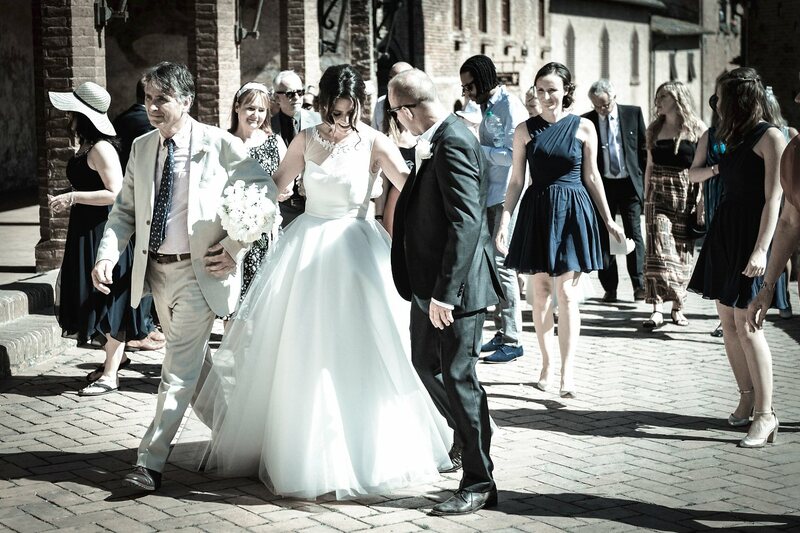 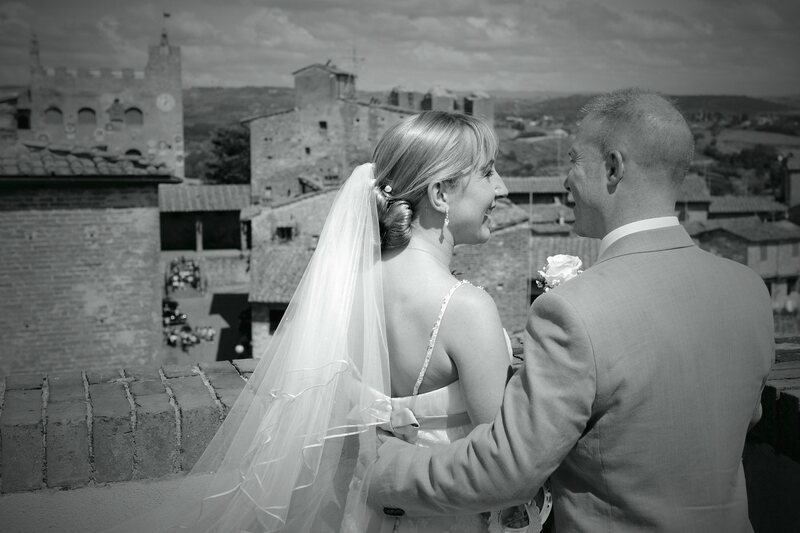 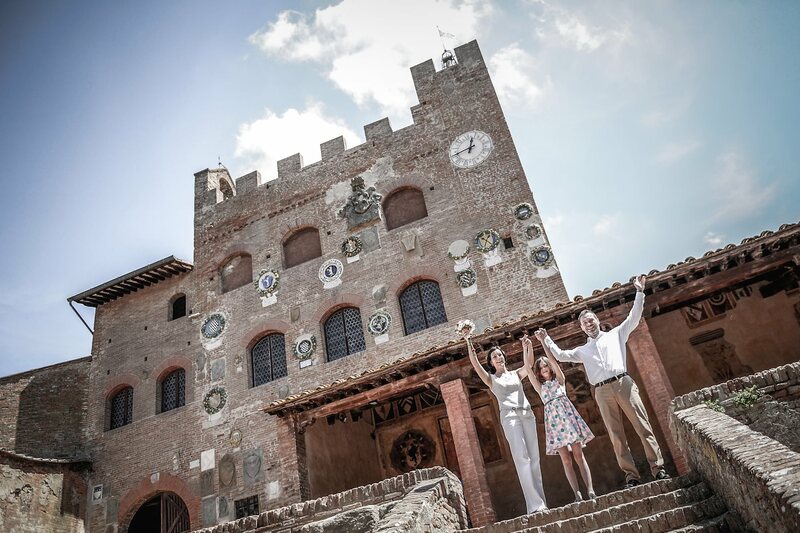 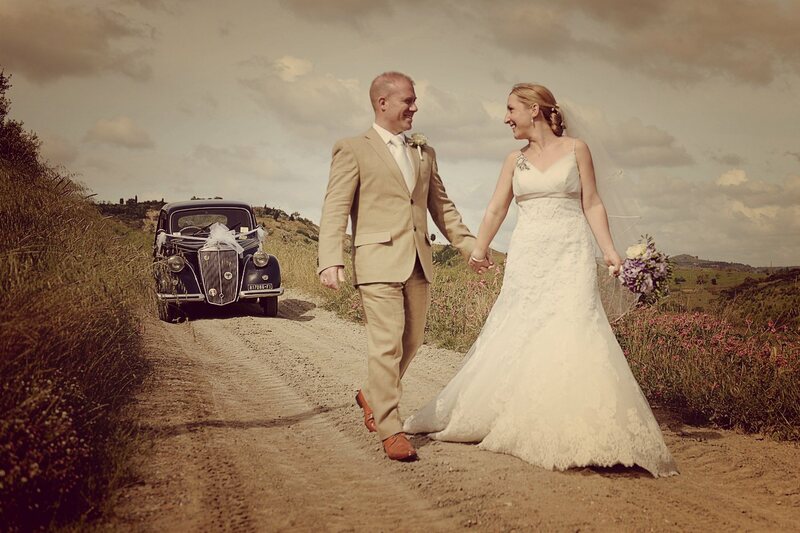 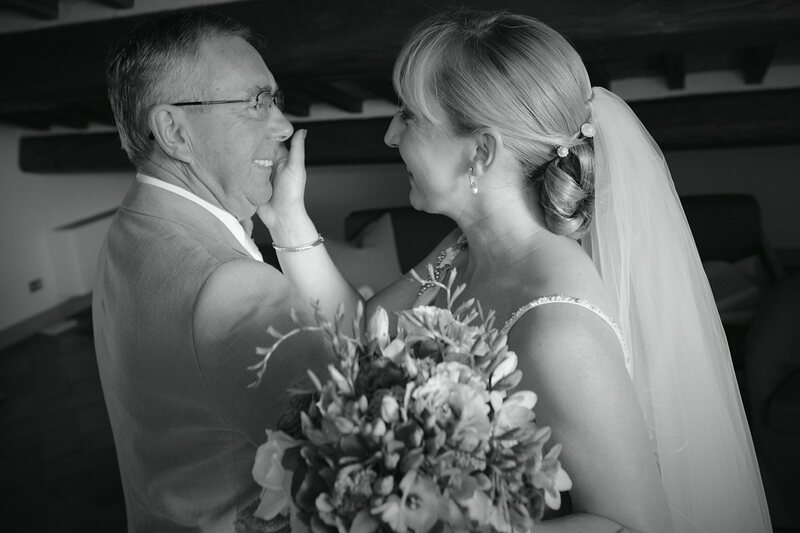 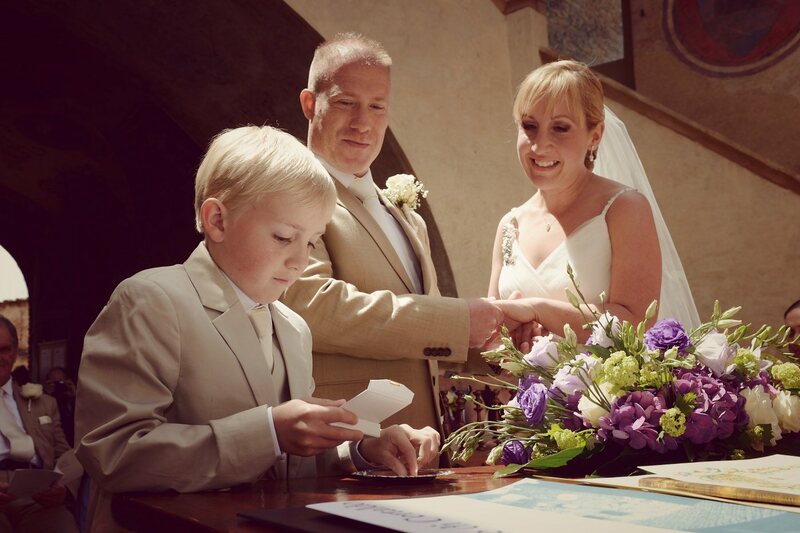 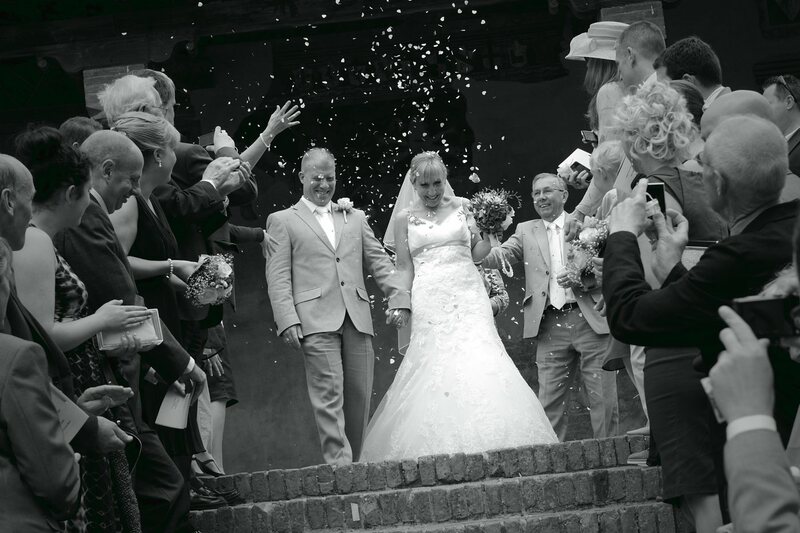 Real Wedding in Certaldo & Villa Ducci, Tuscany. 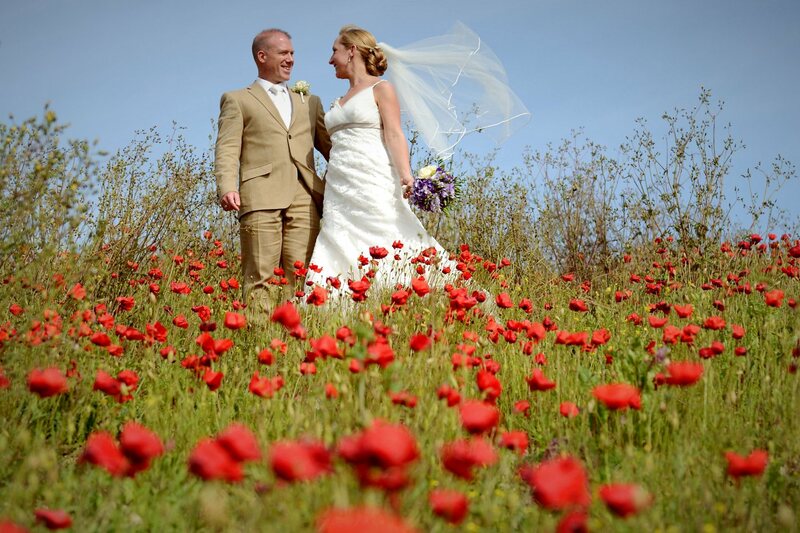 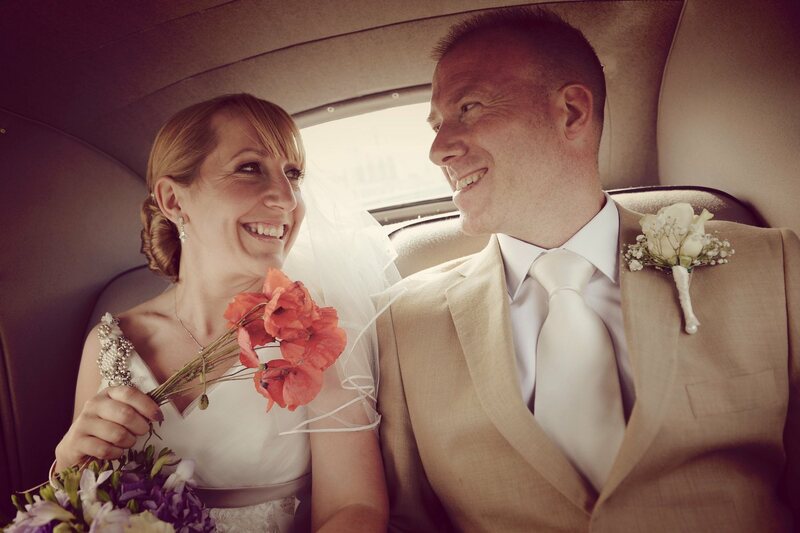 Sarah & Dave from UK. 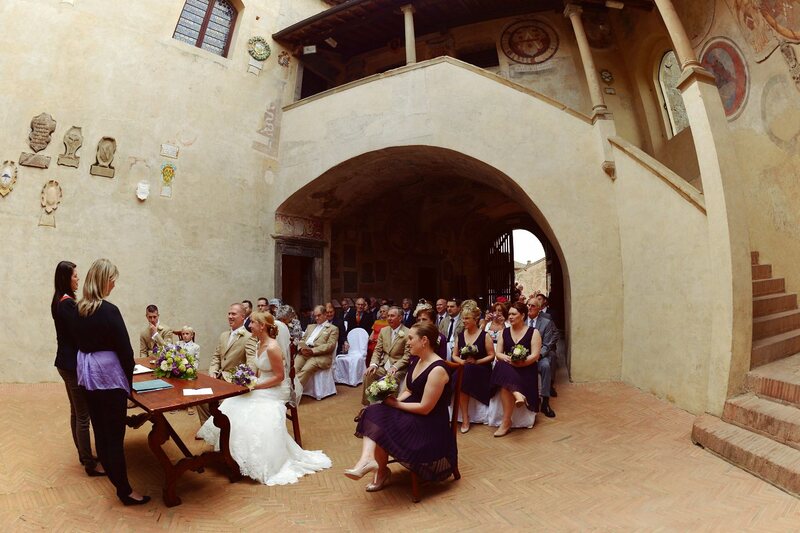 Civil ceremony in the Town Hall of Certaldo Alto, a small lovely medieval village in hills of Tuscany. 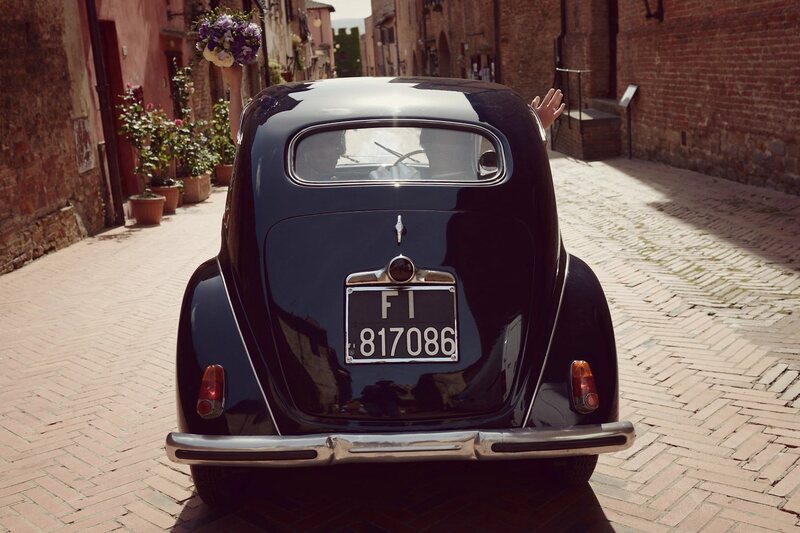 It was also perfect for the occasion the old Italian car... A short stop for the photos in the poppies fields and then the party at Villa Ducci at San Gimignano.